Tokyo-based Monstar Lab, the company providing crowdsourced offshore app development service Sekai Lab, announced on Friday that it has secured 250 million yen, which roughly translates to about US$2.5 million. The round was participated from Gogin Capital, the investment arm of San-In Gogo Bank and Resona Capital, the private equity and venture capital arm of Resona Holdings, in addition to existing shareholders.This follows the company previous US$3.3 million funding from Pasonatech and DG Incubation. Getting Gogin Capital on board as a shareholder may be related to the fact that Monstar Lab has a development location at the similar location of Matsue, Shimane Prefecture. This will thus provide the opportunity of offering existing offshore app development services, especially to help and improve the situation in and around Shimane where companies still struggle with the lack of system engineers. 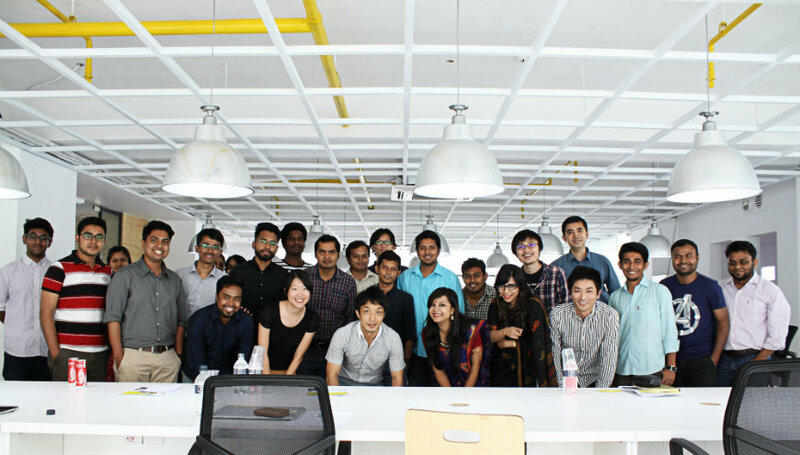 Founded in December 2013 by Hiroki Inagawa, Sekai Lab is a solution to match Japanese companies with skilled engineers in Asian countries. In other words, Sekai Lab acts as a crowdsourcing platform which allows companies in Japan to find their entrusted development platform in affordable markets such as Vietnam, China, and Bangladesh, which makes up the top three in the list, to produce websites, apps, games, and other online services. The startup also provides translation and localization services to ensure that language barriers will not be an issue. Additionally, the startup also claims that clients in Japan, Singapore, and the US can save up to 75 percent on development costs by outsourcing with Sekai Lab. To date, Monstar Lab offers app development in 17 countries worldwide which include China, Bangladesh, and Vietnam but the startup still continues to further expand their markets. In October, the company’s CEO Hiroki Inagawa visited Jordan, and this hints at the possibility of expansion into the Middle East from Asia where they now have multiple development locations. The funds raised this time will be used for such market expansion efforts. With its established international resources, Sekai Lab can provide comparatively inexpensive and high-quality offshore development for projects from Japan and elsewhere. As its name implies, ‘Sekai’ which is translated to “the world” in Japanese shows the startup’s ambition in taking on the global market, in both name and deed. To change the world with its technology.